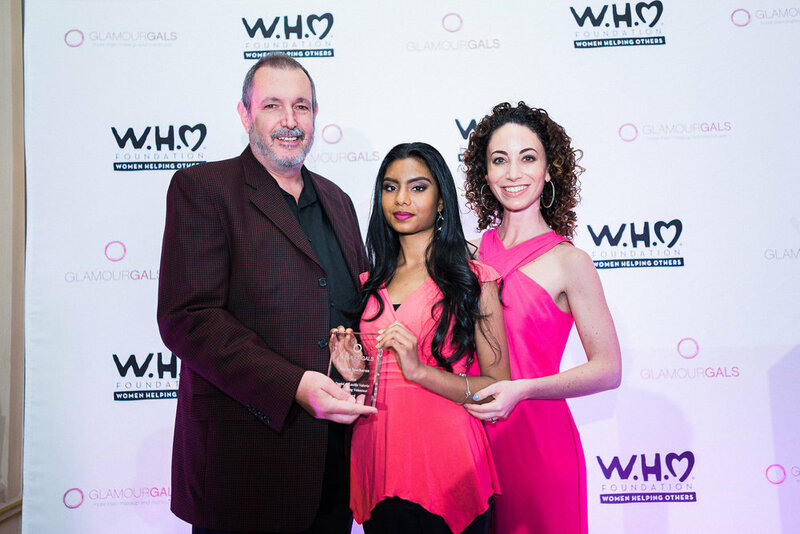 On Saturday, May 21, Meline Seecharan was awarded the prestigious $1,000 Daniel and Lucille Valerio Outstanding Volunteer Award at the 12th annual Glammy Scholarship Awards in New York City. The Daniel and Lucille Valerio Outstanding Volunteer Award is given to a volunteer who has excelled at making an impact in the lives of seniors. The award was founded in 2011 by Executive Board member Louis Valerio in honor of his parents. Meline first joined the GlamourGals chapter at Thomas A. Edison High School in Queens, New York as a sophomore. She became a committed member her senior year, and has completed 20 service hours this school year. Meline gave her a pink balloon and white polka dots, which her chapter had brought to give out to the senior residents. As Meline recounts, "She [the resident] loved so much that she wanted me to tie the balloon on her wrist and wear it for the rest day. Not only did I make her smile, but she made me smile when she kept my balloon in her room. It’s extraordinary of how such a small gesture was able to make such a positive impact on both her and myself. She taught me to live life to the fullest and to do what makes me happy! This lesson will be with me forever and I will follow it." "I aspire to live as long as her, and be as happy. Her story is special, but not unique; she is just one of the many amazing women I’ve met at these GlamourGals makeovers!" Meline will be attending the New York Institute of Technology in the fall to study graphic design. You can find the press release announcing Meline as this year's winner of the Daniel and Lucille Valerio Outstanding Volunteer Award here.